Born of fire, the untamed Yellowstone wilderness challenges the hearts and minds of all who journey there. First called Wonderland by the awestruck explorers of the nineteenth century, Yellowstone formed in volcanic violence and was sculpted by ice for over fifty million years. America's first national park served as the scene for Indian war, army occupation, and exploitation by the railroads. In 1988, the world watched on the nightly news as over half the park burned. Up to thirty thousand people fought the fires directly, and over a million visited the park during the burning. Each year, over three million people carry away memories that remain long after they return home to Houston, Osaka, or Frankfurt. My love affair with the Yellowstone region began in 1973, when I attended geology field camp in Alpine, Wyoming, south of Jackson Hole. The first time I saw the Tetons rear their majestic heads seven thousand feet above the valley floor, I was hooked. Once I saw Yellowstone, the lakes, the canyons, the geysers, my fate was sealed. There were stories here. Since that first summer, I have visited the park in every season, accessing the archives for the rich history of the land, and the men and women who have lived and visited there . . . from the Sheepeaters to twenty-first century tourists. Now, go to one exceptional place, this land of unexpected violence and soothing peace. In each story, the spectacular setting serves as a major character. Linda Jacobs started creating fiction when she was very young, but for twenty years her writing took a back burner to her career as a professional geologist. Then she attended Rice University’s novel writing program and never looked back. 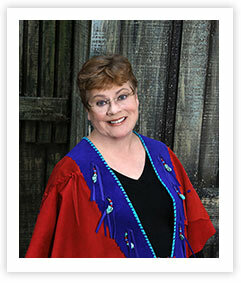 She has published four books in The Yellowstone Series and two romances under the name Christine Carroll. Married to fellow geologist Richard Jacobs, Linda divides her time between the West and the Shenandoah Valley of Virginia. A word about bios, and not incidentally, writing. I like to think it doesn't matter who I am if you like my work. But if you've read something I've written and decided you'd like to know more, or if you'd rather know where an author is coming from before you pull out your credit card and order a book, then . . . Probably the most important thing to know about me is that my approach to writing is the same as it is to reading. Ever since my mom shared the Golden Book versions of Cinderella and Sleeping Beauty with me at bedtime, I have found fiction . . . whether I am immersed in someone else's good book . . . or whether I'm spinning the yarn, to be a magical escape. They say one must write what you know, but I don't write about me. I don't even write about people I know. My characters are composites that come to me, at first visually. Then I choose a name, sit down and write, I am so-and-so. What comes out through my fingers onto the page is like when someone says, "Tell me about yourself." I remember Kyle Stone, a character in Rain of Fire, revealed to me that she once bought a blouse with ruffles. Every time she wore it, people complimented her on it all day long. Unfortunately, not being a ruffle person, Kyle felt like a fool in it. Well, truth to tell, that one does come from my own life. But say one of my male characters habitually adjusts the crotch of his pants like some guy I once worked with, or takes an hour to put on her make-up . . . I knew this beauty queen in junior high . . . I'll pick out bits and pieces like this. My plots come only in the smallest way from my own life because when I write I'm escaping. I confess to having never fought a fire as in Summer of Fire, or seen a live volcano as in Rain of Fire, but other people have told me about it. I often borrow stories. One day I was having lunch with an outfitter friend who arranges adventure travel all over the world. He told me a harrowing experience of his own while river fishing in Canada. Seems he fell out of an inflatable boat into thirty-something degree water while not wearing a life vest, trundled along through a logjam, getting caught several times, thought he was dead . . . and emerged to tell the story. I turned that into a woman falling from horseback into the Snake River in the year 1900, getting caught in a logjam and . . .
Lots of folks have one or another version of the same question for authors, along the line of, "Where do you get your ideas?" Once when I was at the Jackson Hole Writer's Conference, someone popped the question. Author and screenwriter Tim Sandlin replied, "There's a secret Internet site . . "
I like to compare ideas to soap bubbles. Only instead of having a bubble exist and pop into oblivion, this bubble appears from nowhere. I was in a gas station automated carwash, where you can't see anything through the suds, when I suddenly imagined a scene in which someone enters the car through a back door as the vehicle disappears into the tunnel. Under cover of clouds of spray, he or she strangles the driver. When the car is released from automated control, it rolls down, driverless, and bumps into the curb. An author fades in and out of that magic other world all the time. One day when I was exiting my health club locker room, I was struggling with a plot problem. There was going to be a big earthquake; my characters would be caught in a canyon on horseback, but what would happen to raise the stakes? I thought about killing or injuring one of my main folks, but knew I needed them to be fully functional shortly thereafter for the book's climax. As I opened the door, it came to me. "Kill the horses," I said . . . right into the startled face of a woman carrying her gym bag. So if she, and the rest of you, want to know who that deranged woman was, here's a brief edition of my life story. Born a university brat and trained at the Master's level in Geology, I was one of Exxon Corporation's first woman field geologists. Before my 2004 move to New Mexico, I lived in Houston and Dallas and worked for a number of oil and gas companies on the front line where new fields are found. This fascinating and stimulating career was a roller coaster, with discoveries and dry holes, but I wouldn't change a minute of it. Growing up in Greenville, South Carolina, fiction came to me when I was very young. Already an avid reader, I'd hit a ball against a wall and tell myself stories . . . about people who lived in New York City, a place I'd only read about in Dorothy B. Hughes's and Jacqueline Susanns work. By age thirteen, I'd taught myself to hunt and peck on Dad's old Royal Typewriter and started writing novels. In addition to New York, my characters roamed Hollywood, Yosemite and Hawaii. I even featured a Saudi Arabian princess attending college in America (after careful research of Medina and Mecca in the 1963 World Book Encyclopedia). My largest effort was over one hundred single-spaced, typewritten pages. Eventually, I decided, as many adolescents do, that my mother might be reading my material, so I had a bonfire in the backyard. This is certainly a blessing for posterity, as well as for me. Now, no one will ever know how truly awful those works must have been. I published poetry and a short story in the Greenville High School literary magazine, known as Bits-o-Lit. In college at Furman University and doing graduate work at The Ohio State University, I studied science and my fiction took a back burner to technical writing. I did read, though, voraciously: James Mitchener, Ian Fleming, Ken Follett, Margaret Mitchell, Ayn Rand, and Nora Roberts to sample a few. After a twenty-year layoff, in 1992, I joined Rice University's novel writing program, chaired by American Book Award winner Venkatesh Kulkarni. I studied with this consummate teacher and author for a total of six years, until he passed on. The Rice critique group still meets in Houston to this day, although I don’t get there often. I thank the following people for their steadfast support of my efforts: Marjorie Arsht, Kathryn Brown, Judith Finkel, Bob Hargrove, Elizabeth Hueben, Karen Meinardus, the late Joan Romans, Angela Shepherd, Jeff Theall, Diana Wade, and Madeleine Westbrook. Then, following the old adage that when the student is ready, the teacher will appear, I met Rita Gallagher. Renowned author of novels and non-fiction works on writing, Rita has taught over two hundred published authors. She focuses on novel structure and helped me go from writing great scenes to putting a book together. Though Rita turned eighty while I was her pupil, her mind was still sharp enough to find a sentence on page seventy that belonged on page seventeen. Unfortunately, she passed away in early 2004, and the world lost a grand lady. Married to fellow geoscientist Richard Jacobs, I divide my time between the West and the Shenandoah Valley of Virginia where I inherited my grandfather's farm. I enjoy adventure travel, having scuba dived the Caribbean, taken three African safaris, and gone alpine hiking in New Zealand and the Spanish Pyrenees. 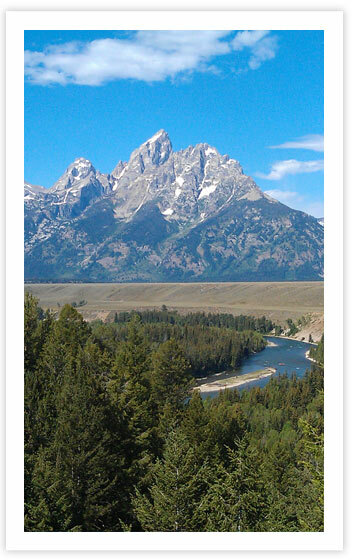 And of course, I regularly visit Jackson Hole and Yellowstone.